If you’ve never been to the annual theatre party — or are a casual Fringer looking to get serious — here are a few basic tips on how to do the Fringe. 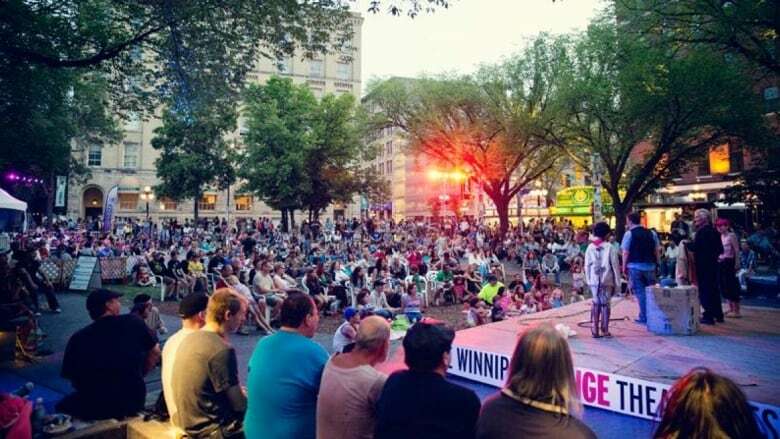 There are two kinds of people in Winnipeg: those who have never been to the Winnipeg Fringe Theatre Festival, and those who can't believe anyone has never been to the Winnipeg Fringe Theatre Festival. 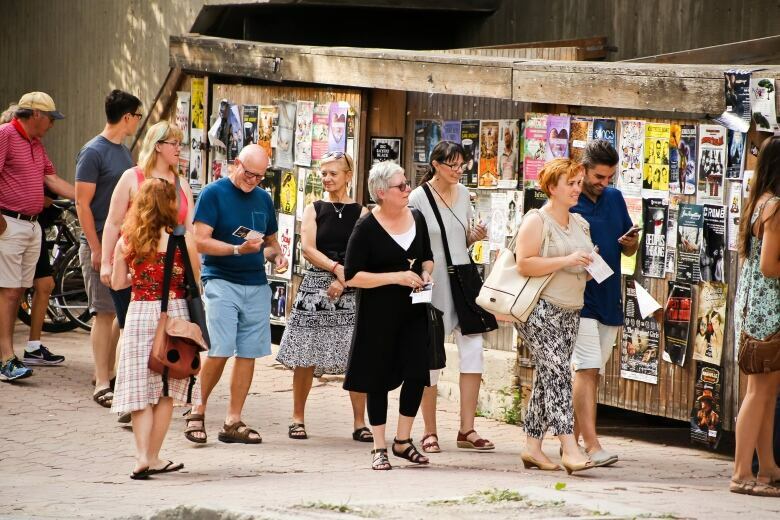 Now in its 31st year, the festival has developed a loyal following, with some people coming to see one or two shows, while others will take in dozens from July 18-29. If you've never been — or are a casual Fringer looking to get serious — here are a few basic tips on how to do the Fringe. There are 179 different shows at the festival. That means there is almost certainly at least one you'll like — but some you won't. Take the descriptions in the program with a grain of salt, though — they're written by the performing companies. And be aware that this is Fringe theatre in all senses of the word — some shows are weird, some are shocking and some can be downright offensive. So look beyond the Fringe program. Read the reviews out there — even if you don't agree with it, a review can give you a sense of what kind of show you're in for. CBC's crew will review dozens of shows at this year's festival on our website, and there are other sources for reviews out there too. But one of the best ways to find a show you'll like is by actually talking to people, whether via social media, in a lineup for a show or in the beer tent. Avid Fringers LOVE to tell you what they've seen and help newbies discover new artists. The Fringe Festival schedule is a carefully engineered wonder — the festival has to slot some 1,500 performances into its 12 days. That means, though, the schedule can be a bit confounding. Generally, performances run from noon until about midnight each day of the festival. But there are multiple shows in each of the festival's 29 different venues, so performance times for any given show change from day to day. This is where your trusty program or the fringe website comes into play. Check there for times and locations. You can buy tickets online at the Fringe website or at the door. There is a service charge for buying online. However, popular shows will sell out — so buying tickets in advance has some appeal. It's worth noting, though, that only about half of the tickets for any performance can be sold in advance. So if it's sold out online, you might be able to get a ticket at the door — if you line up early enough. Tickets for any performance go on sale 15 minutes after the previous show in the venue has started — but for a hit show, there'll be a lineup long before that point. The maximum price for a Fringe show is $12, so it's already comparatively cheap. However, some shows offer a "two for $12" deal for their off-peak performance times. Check the show descriptions in the program or online for other discounts, like matinee performance and senior rates (and sometimes cheekier discounts — anyone in Blue Bombers gear gets into True Blue for $10 instead of $12, for example). If you're buying tickets at the door, it's cash only. So is the beer tent at Old Market Square, which is not only a lovely hangout spot, but is also home to something brand new for the festival this year — a series of afternoon talks with artists called Face to Face at the Fringe, which will see Fringe performers chat about topics like life on the road as a touring artist and Indigenizing theatrical spaces. 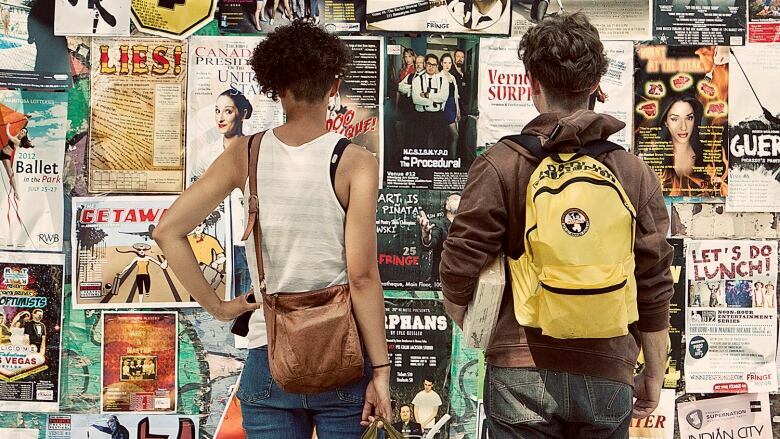 See the Fringe Fest website for times and topics. Also, take some cash for the performers at the Old Market Square free stage. They aren't paid by the festival or anyone else, so your donations are how they make money. The festival has expanded a lot over its years, but it's still primarily based in the Exchange District — if you get to Old Market Square, you're in the heart of Fringe country. 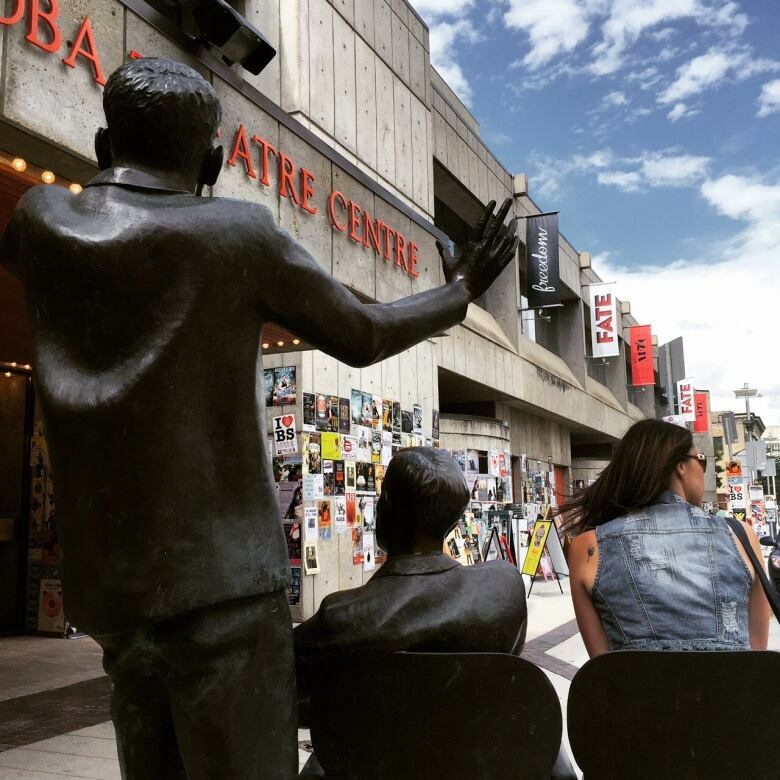 A few venues are a bit farther flung, like the Gas Station Arts Centre, the University of Winnipeg, the West End Cultural Centre and Manitoba Theatre for Young People. The first rule of getting to the Fringe: don't drive if you don't have to. The combination of closed-off streets, inevitable construction and big crowds means parking in the Exchange is at a premium. If you have to drive, the festival offers a list of parking lots on its website. But bus service to the Exchange is pretty good. For cyclists, there's a big bike rack on Bannatyne Avenue, right next to Old Market Square. New this year, there's also a supervised bike rack across the street from the Royal MTC. The festival says that one will be monitored by security staff from 10 a.m. to 12:30 a.m. Most of the festival venues are wheelchair accessible, but some aren't. Check the program or the website before you go if accessibility is a concern. The Fringe has a strict no-latecomers policy. And it is STRICT. You're there at 12:01 p.m. with ticket in hand for a show that started at noon? Too bad. So be ready for our "inclement" weather. Remember to stay hydrated too — if you bring your own water bottle, there's a refill station in Old Market Square. You'll also find water fountains in some venues (including in the basement of the Manitoba Museum, home to Venue 10, and in Prairie Theatre Exchange — venues 15-17). Staying hydrated means you'll probably need a washroom at some point. There are porta-potties at Old Market Square, but if you're a fan of indoor plumbing, there are washrooms at many, though not all, venues (including in Artspace — home to Venue 7 and right across from Old Market Square — the Royal MTC, PTE and the Manitoba Museum). As for food, there are plenty of vendors at Old Market Square and great restaurants in the Exchange, so you won't have any trouble finding something to eat. See something you loved? Or didn't? Other Fringers love to hear about it. 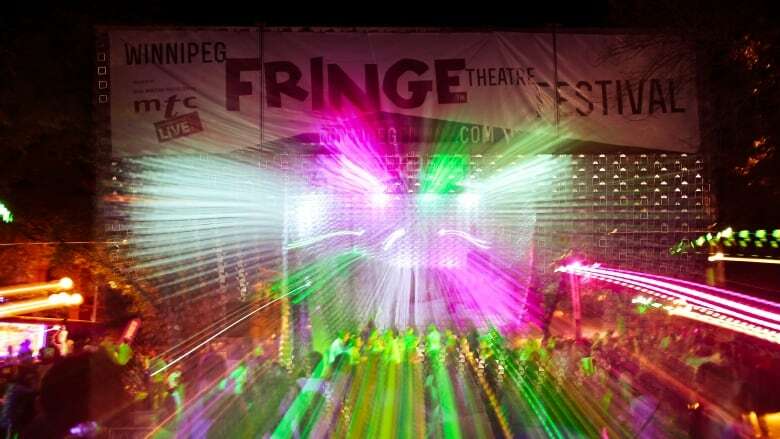 Leave a comment on our website, or take to social media with the #WpgFringe hashtag, or stop a stranger in the beer tent. They'll probably thank you for it. Have a fringing tip to share? Let us know in the comments.